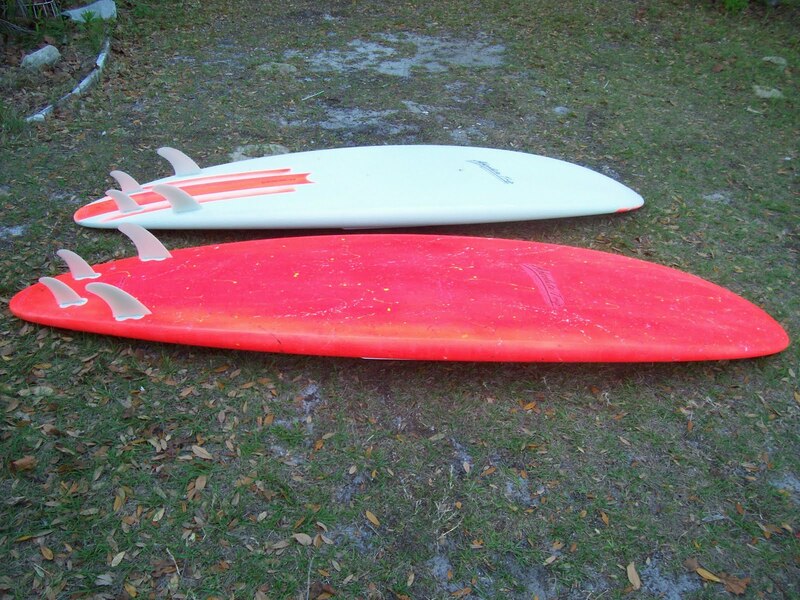 Top 8'6" SUP 4 channel bottom, Red SUP 9'3"
Trenchers... Rides insane just a little extra boost with the channels. 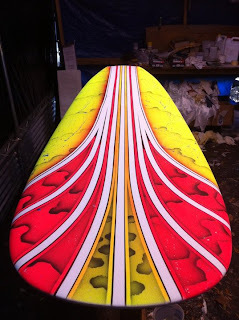 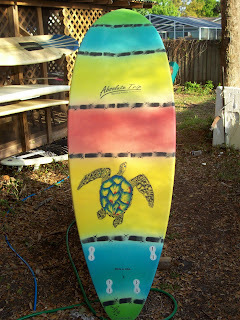 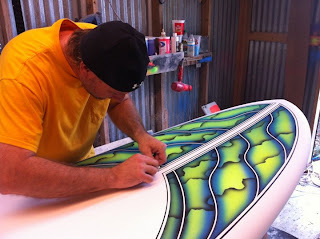 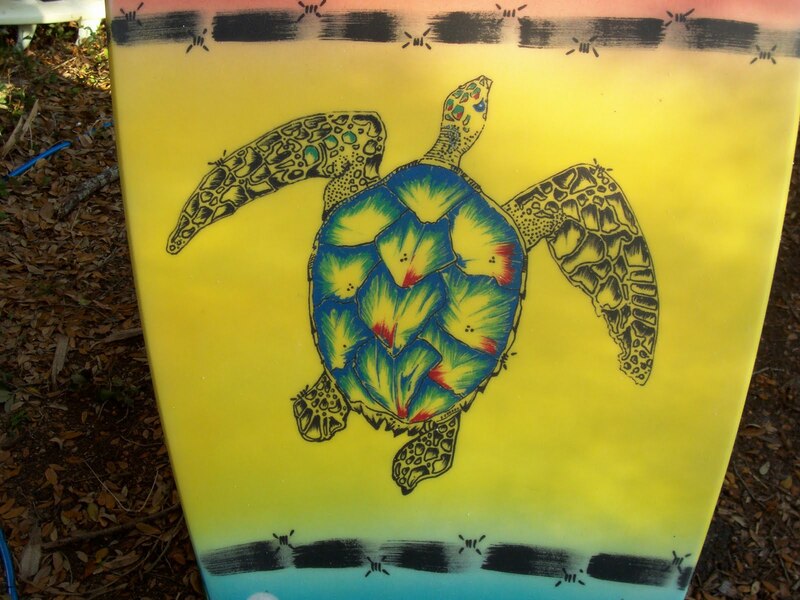 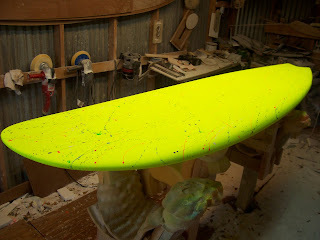 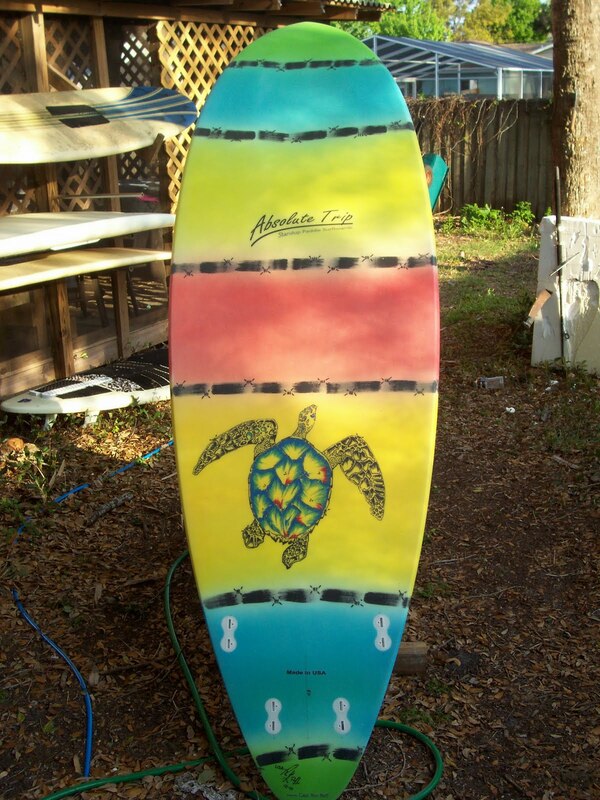 Outline and art nice board..
8'0" Wide body Prone shape for the SUP surfer, 21" nose, 24.5" mid, 18" single wing diamond tail. Pretty sweet... Crazy airbrush. And incase you were wondering, No I never did any mind altering drugs That's just how I would like to see the world crazy patterns and day-glo colors. 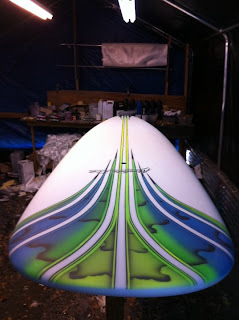 I am staying pretty busy got a 16ft long block of foam for the series of race boards I have to build next week. 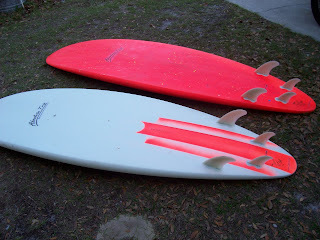 Stay tuned after building race cars, boats, and airplanes, and tons of surfboards and SUPS I think there is a chance I can get a race board to work. 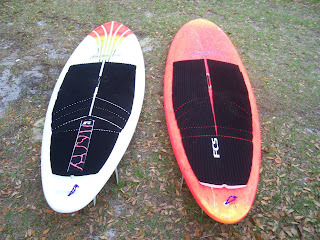 Yeah Ron! 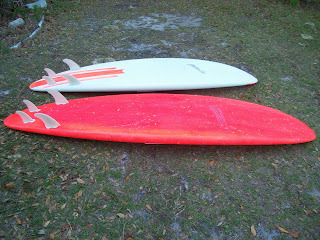 Your boards are looking REALLY good!